Map showing the location of Darrell K Royal Texas Memorial Stadium in USA. Just think how many it would hold if it didn't have one end missing! 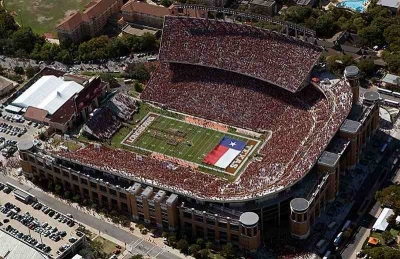 You have the ability to request en edit to any of the details of Darrell K Royal Texas Memorial Stadium. You can do this by clicking on one of the options below.